The quick guide to improving your sales operations. Too often, finalizing a sale can turn into a time-consuming nightmare full of tedious paperwork. After the verbal yes, sales reps and operations folks spend several days formalizing and completing the order. 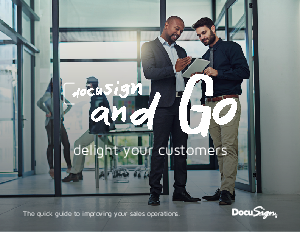 Download this eBook to learn how you can improve your sales operations processes and close deals faster.